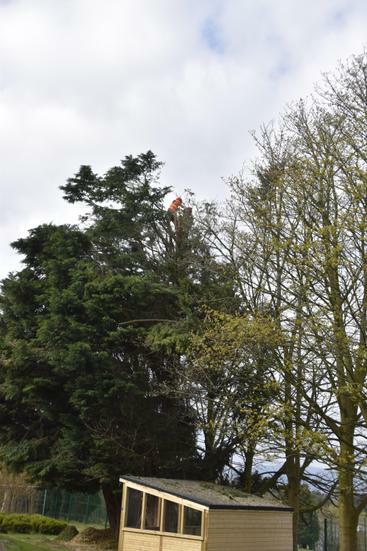 Mr Corbett donned the hard hat and high viz in a cost cutting exercise today. 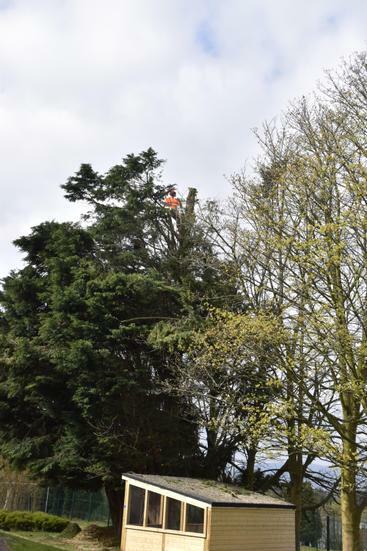 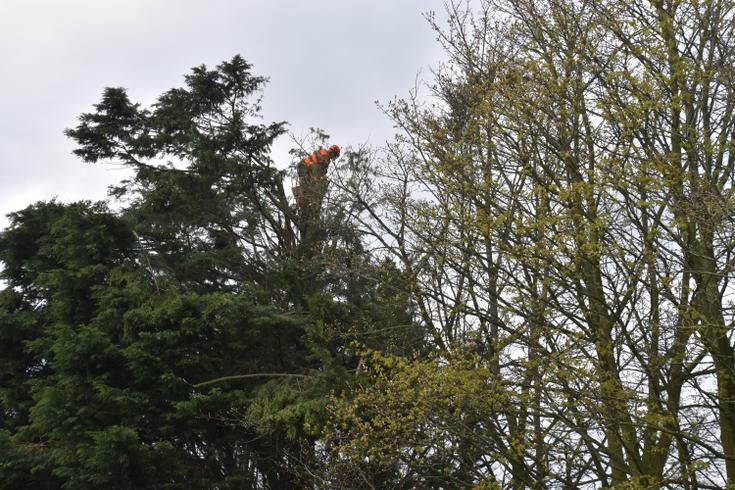 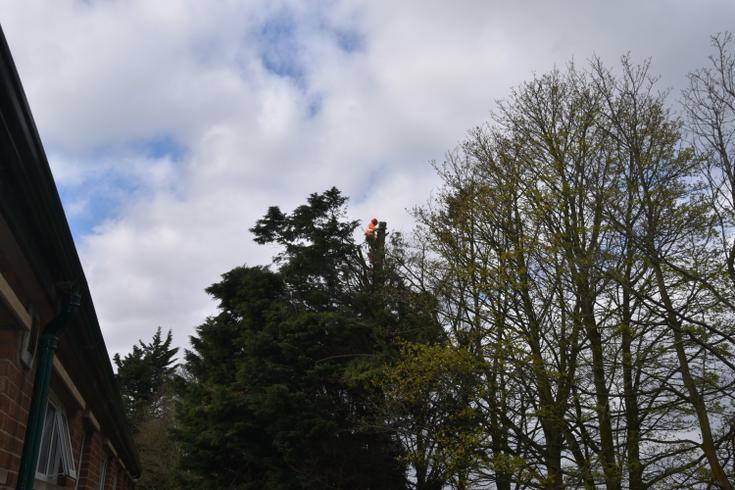 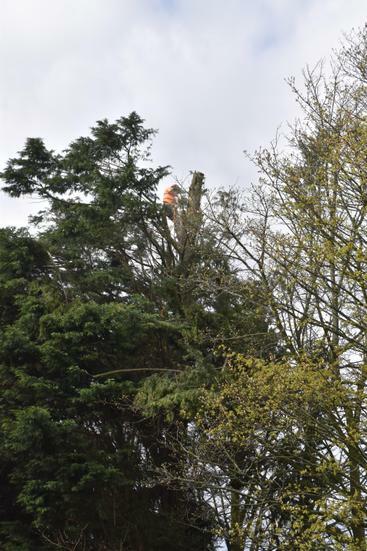 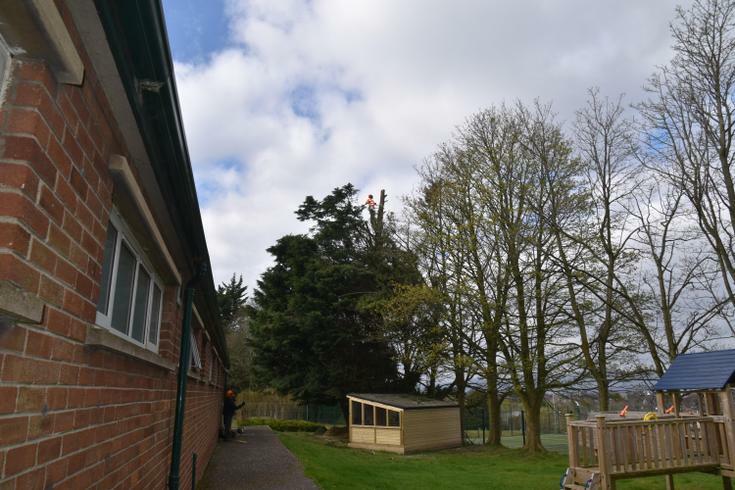 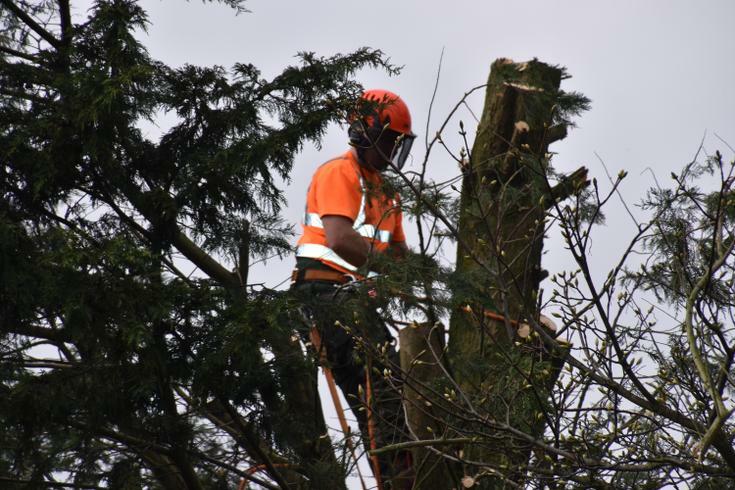 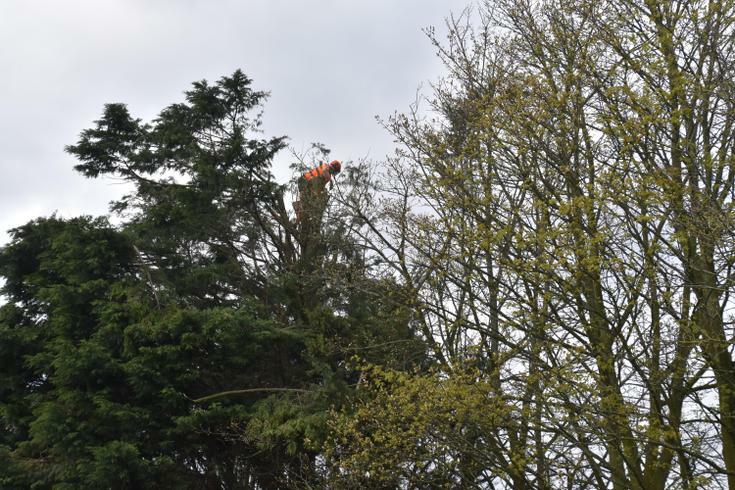 Rather than bring in the professionals he scaled the trees that needed pruning and made a fine job of it. 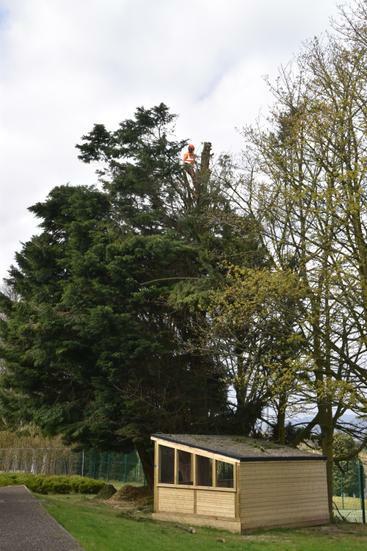 Next week Mr Halliday will be doing a spot of roofing!